The London Gazette is one of the official journals of record of the British government, and the most important among such official journals in the United Kingdom, in which certain statutory notices are required to be published. The London Gazette claims to be the oldest surviving English newspaper and the oldest continuously published newspaper in the UK, having been first published on 7 November 1665 as The Oxford Gazette. [lower-alpha 1]  This claim is also made by the Stamford Mercury (1712) and Berrow's Worcester Journal (1690), because The Gazette is not a conventional newspaper offering general news coverage. It does not have a large circulation. The Stamford Mercury based in Stamford, England, claims to be "Britain's oldest continuously published newspaper title". 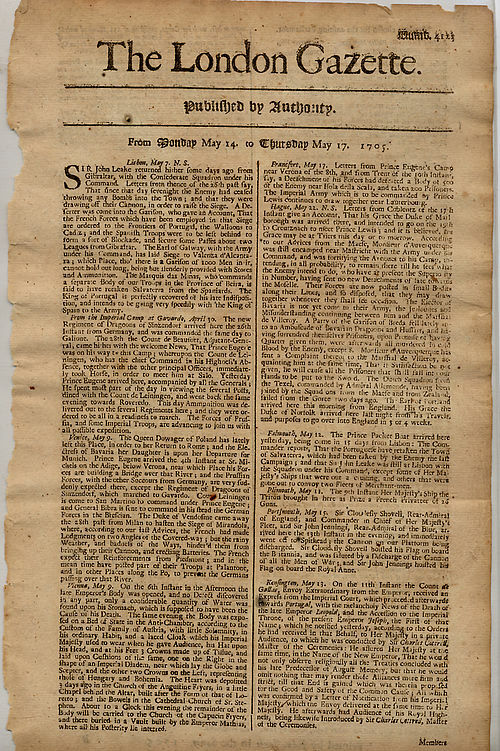 The Mercury has been published since 1712 but its masthead formerly claimed it was established in 1695 and that it was "Britain's Oldest Newspaper". Berrow's Worcester Journal is a weekly freesheet tabloid newspaper, based in Worcester, England. Owned by Newsquest, the newspaper is delivered across central and southern Worcestershire county. Other official newspapers of the UK government are The Edinburgh Gazette and The Belfast Gazette , which, apart from reproducing certain materials of nationwide interest published in The London Gazette, also contain publications specific to Scotland and Northern Ireland, respectively. The Edinburgh Gazette, along with The London Gazette and The Belfast Gazette, is an official newspaper of the United Kingdom government. The Stationery Office (TSO) is published on behalf of Her Majesty's Stationery Office (HMSO) in Edinburgh, Scotland. The Belfast Gazette, along with The London Gazette and The Edinburgh Gazette, is an official newspaper of the United Kingdom government. It is published by The Stationery Office (TSO), on behalf of Her Majesty's Stationery Office (HMSO) in Belfast, Northern Ireland. The Stationery Office (TSO) is a British publishing company created in 1996 when the publishing arm of Her Majesty's Stationery Office was privatised. It is the official publisher and the distributor for legislation, command and house papers, select committee reports, Hansard, and the London, Edinburgh and Belfast Gazettes, the UK government's three official journals of record. With more than 9,000 titles in print and digital formats published every year, it is one of the UK's largest publishers by volume. The London Gazette was first published as The Oxford Gazette on 7 November 1665. Charles II and the Royal Court had moved to Oxford to escape the Great Plague of London, and courtiers were unwilling to touch London newspapers for fear of contagion. The Gazette was "Published by Authority" by Henry Muddiman, and its first publication is noted by Samuel Pepys in his diary. The King returned to London as the plague dissipated, and the Gazette moved too, with the first issue of The London Gazette (labelled No. 24) being published on 5 February 1666. The Gazette was not a newspaper in the modern sense: it was sent by post to subscribers, not printed for sale to the general public. And you'll all be Gazetted . The Official Journal of the European Union is the official gazette of record for the European Union (EU). It is published every working day in all of the official languages of the member states. Only legal acts published in the Official Journal are binding. The Dublin Gazette was the gazette, or official newspaper, of the Irish Executive, Britain's government in Ireland based at Dublin Castle, between 1705 and 1922. It published notices of government business, including Royal Proclamations, the granting of Royal Assent to bills, writs of election, appointments to public offices, commissions and promotions in the Armed Forces, and awards of honours, as well as notices of insolvency, and of changes of names or of arms. Iris Oifigiúil is the official gazette of the Government of Ireland. It replaced The Dublin Gazette, the gazette of the Dublin Castle administration, on 31 January 1922. The Belfast Gazette was established for the same purpose in the newly created Northern Ireland on 7 June 1921. A gazette is an official journal, a newspaper of record, or simply a newspaper. Charles Duke Yonge was an English historian, classicist and cricketer. He wrote numerous works of modern history, and translated several classical works. His younger brother was George Edward Yonge. Events from the year 1665 in England. 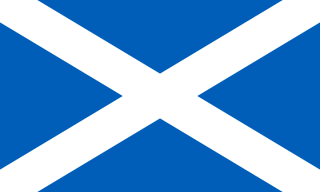 The Chronological Table of the Statutes is a chronological list of the public Acts passed by the Parliament of England (1235–1706), the Parliament of Great Britain (1707–1800), and the Parliament of the United Kingdom, as well as the Acts of the old Parliament of Scotland and of the modern Scottish Parliament, and the Measures passed by the National Assembly for Wales and by the General Synod of the Church of England. It is produced by Her Majesty's Stationery Office and published by The Stationery Office. Samuel Haliday or Hollyday (1685–1739) was an Irish Presbyterian non-subscribing minister, to the "first congregation" of Belfast. The Sri Lanka Gazette, officially The Gazette of the Democratic Socialist Republic of Sri Lanka, (Sinhalese: ශ්‍රී ලංකා ප්‍රජාතාන්ත්‍රික සමාජවාදී ජනරජයේ ගැසට් පත්‍රය, translit. Shrī Laṁkā Prajātāntrika Samājavādī Janarajayē Gæsaṭ Patraya; Tamil: இலங்கை ஜனநாயக சோசலிச குடியரசின் வர்த்தமானி, translit. Ilaṅkai Jaṉanāyaka Cōcalica Kuṭiyaraciṉ Varttamāṉi) is a public journal of the Government of Sri Lanka. It prints certain statutory notices from the government. Modeled after the Oxford Gazette, the Sri Lanka Gazette is the oldest surviving newspaper in Sri Lanka, having been published continuously since 1802. Unlike other newspapers, it does not cover general news or have a large circulation. It is printed by the Department of Government Printing. ↑ "No. 6231". The London Gazette . 4 January 1723. p. 1. ; "No. 6257". The London Gazette . 4 April 1724. p. 1. ↑ "No. 1". The Oxford Gazette . 7 November 1665. p. 1. ↑ "Data Re-use". The London Gazette. Retrieved 10 December 2015. ↑ "No. 24". The London Gazette . 5 February 1666. p. 1. ↑ By William Hone (1827); published by Hunt and Clarke. Wikimedia Commons has media related to The London Gazette .